With Brexit dominating the headlines, was it difficult to get the Resources and Waste Strategy published? No, ministers have got an ambitious domestic agenda and are keeping pressing ahead with this as well as making sure we’ve got an orderly exit from the European Union. With environmental issues on the radar, has the status of Defra and the work it does been boosted in Westminster? I think Defra has long been seen as not just an environmental department but also an economic department, bearing in mind we’ve got food, farming and waste [that] contributes something like £7bn to the UK economy. I also think because huge chunks of Defra policy is derived from EU legislation, due to the EU exit there are areas that might change as we leave the European Union, which has obviously been thrown into the spotlight a lot more. How will mandatory food waste collections, one of the key headlines of the Strategy, be costed? We have looked at modelling costs around introducing separate food waste collections and we think it can lead to savings for local government. We said in the Strategy that there will be no new net costs for local authorities as a result of our policy reforms and delivering services. We don’t think there will be any net cost for local authorities. Would you agree with Environment Secretary Michael Gove that Defra hasn’t in the past done enough on food waste? I think we’re going further. The issue of food waste has certainly moved up the agenda and we’ve now got a Secretary of State who really recognises and spots these things, so what we’ve shown with projects like Courtauld, we did make a massive reduction in the amount of food that was being wasted, but I think it’s also true to say that our success and progress on reducing food waste has plateaued off. We have just appointed our first Food Waste Champion, which is a first of its kind. His role is to go out and champion food businesses, manufacturers and the public of the ways to both redistribute surplus food and help cut food waste in our homes. The Strategy set a 2042 target to achieve zero avoidable waste, which seems quite a way away – why was that date set? In the 25 Year Environment Plan we said we wanted to avoid and eliminate avoidable plastic waste by 2042, so the lifetime of the plan. But avoidable plastic waste refers to all plastic, so if you think about the challenge that we face in removing all avoidable plastic, not just packaging, it’s quite an ambitious agenda to deliver. A lot of plastic is in things like electricals which may not always be recycled as well as it might be. We have set ourselves an initial challenge around plastic packaging so we support the UK Plastics Pact, but we’ve also said we want to accelerate their ambition, so by 2025 all packaging is either recyclable, compostable or reusable. What is the best way to achieve behavioural change for the public? There’s a real job of work to do in terms of making all packaging that goes on the market recyclable, reusable or compostable, but also a job of work to do in helping the consumers do the right thing. We can do that by reforms around more consistency, so we will know if something is or isn’t recyclable, they know exactly which bin to put that in. So it’s a big job of change and we need to make it as easy as possible – we need to do the right thing and we can help them do that. How can we work to create a global circular economy rather than UK? Government has an open source approach to all of its data and we make it freely available and trade within global markets. Although I know it’s got a bad reputation of late, exporting materials back to some of the countries where that packaging will have been made in the first place is part of a truly global and circular approach to the use of resources. It is, but it’s also about ensuring that material has been recycled. What more can we do to prevent that from happening? That’s a fair point. As part of our reforms we’ll look at how we can be assured [about] that material that is exported abroad. But we recognise that we want to try to recycle more domestically and hopefully the reforms that we’ve put forward will encourage that. One example of this is the packaging tax that the Chancellor announced in the budget where products that don’t include 30% recycled content will be a subject to a tax, and the Treasury will consult on that in due course. The other is to look at what checks and balances there are to make sure that we can be reassured that that material is being recycled. 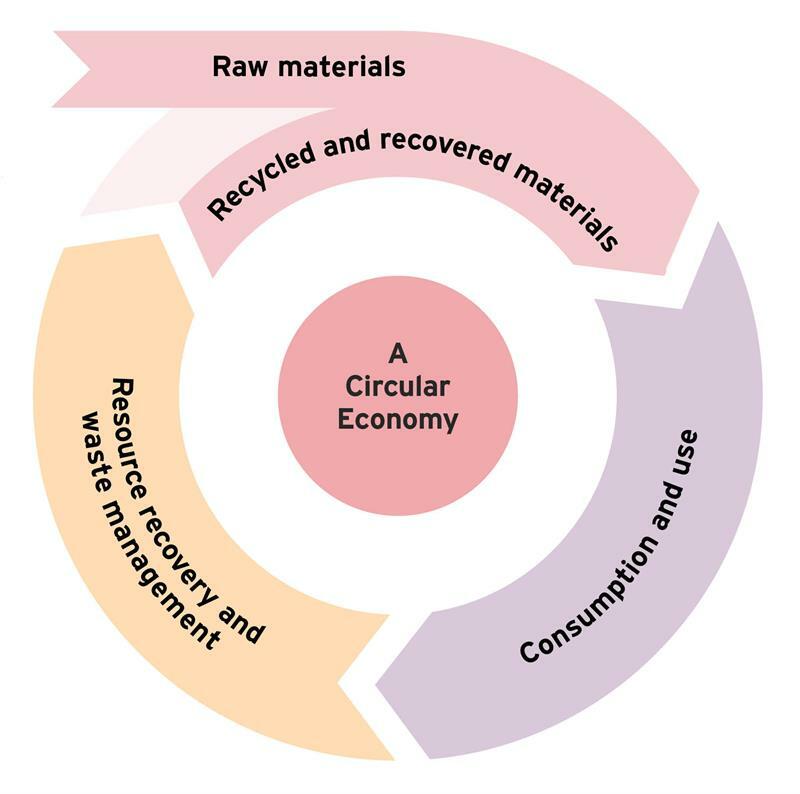 Is the public aware of what the circular economy is? I think some people will know exactly what the circular economy is, but if you say to most people about recycling or cutting down on food waste, they will understand those things as real concepts. There’s a great understanding in the public about the impact of plastics and how they find their way into the open environment, it’s probably never been higher. Most people want to do the right thing and want to recycle. There has been a criticism that so much coverage has been given to plastics, and some say that’s to the detriment of other areas within environmental affairs. We don’t agree with this in my team and the Environment Agency; if you look at the Strategy, it’s incredibly balanced. Plastics is obviously a key part of that but it also focuses on other issues like waste crime, infrastructure and capacity in the waste sector. From my perspective it’s balanced. Why is it important to have Defra representatives at key industry events like the EfW Conference? To be visible and get messages out and to be challenged. I can honestly say that speaking at various conferences and being questioned and challenged by the audience helps to shape my thinking. We don’t want to be the men and women in the Whitehall ivory tower, we want to be out talking to the people whose businesses we can affect, the change we can affect and the value we can add to the economy and environment. That’s best done by being out and visible. Does a lot of the conversation around EfW come down to myth-busting? Yes, I’ve not done a survey on this but I think people think about incinerators as the ones from the 1970s where there were just big furnaces that burnt things up. Now they are much more efficient, which is one of the things we want to encourage maximum efficiency from plants and heat take-off. But some people probably do have a perception that isn’t quite right. The sector needs to commit and get on board with great efficiency, if we’re burning waste as a resource then we want to get the maximum out of it. Not just electricity and regeneration but greater offtake also. We want to encourage the sector to continue to innovate and see where that waste is best used. Whether that’s under the Renewable Transport Fuel Obligation (RTFO) or any other things that are coming on stream on the horizon. Across the UK just eight EfW plants currently have heat and power. Why so few? All new incinerators can operate in combined heat and power mode, but the point is getting them in the right place. 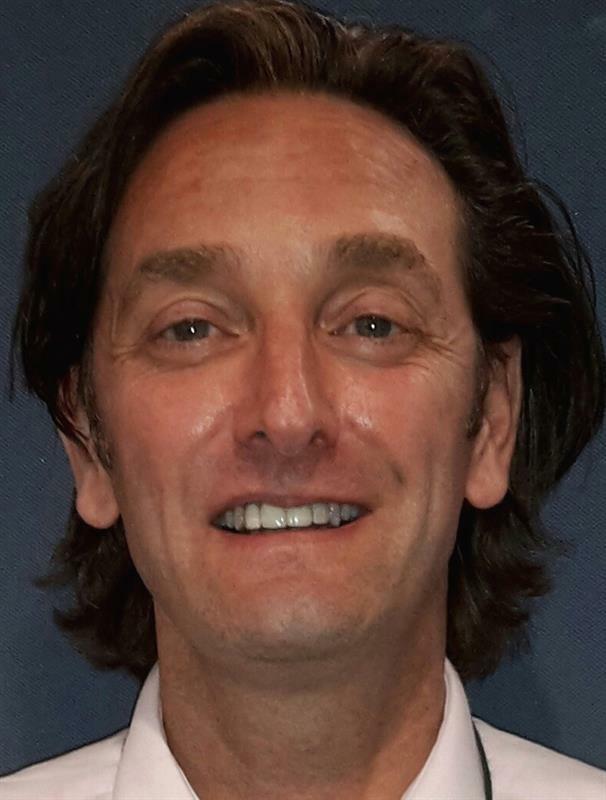 It comes down to connecting a heat network or whether there’s a wider customer base to achieve that heat offtake. That’s why BEIS has got the £320m pot to help encourage and make those connections. That is part of the strategy for the future. What barriers have you come across so far when trying to pair up heat and power? Some of it has to do with finding the right customer connection and the right industry or processes and some of it is to do with the planning obstacles. The sector can get much better at explaining and talking to people much earlier if they’re looking to build a plant to try and cover these issues. They should look to invite people in, walk them through the process and show people the benefits around heat offtake if it’s to do with more domestic networks. Has connecting power and heat been down to hindsight in the past? With the planning process it’s always going to be give and take – in terms of local domestic views as well as what the companies are going to achieve. But rather than just walking away from an obstacle that’s faced, there’s more work needed to try to resolve those difficulties by the sector and run with the strategy and the ambition that government has set out throughout the Resources and Waste Strategy & BEIS plans. How can we encourage more waste infrastructure to be built in the UK? We want to look at what kind of waste infrastructures we need and figure out what will complement the national waste infrastructure. Waste infrastructure is not homogenous and there’s lots we can do to encourage more domestic reprocessing. We need to encourage more secondary materials markets so businesses feel confident in making their necessary investment. That can be things like packaging waste where reforms on consistency could provide a much cleaner feed stock to come into the waste industry. This will help to provide reassurance that industry needs to invest. There is a number of things that we need to do to boost domestic recycling capacity but one of the most important things was to set out our Strategy to show society and industry that government is really serious about doing away with our take, make and dispose society. Given there are plenty of contrasting voices in the waste industry, how does Defra navigate these to appease conflicting views? Part of it is to make sure you listen to everybody, even if sometimes those views are on the extreme. One of the skills the civil service has is listening to conflicting evidence and reaching a conclusion. Sometimes you actually make neither side happy but the conclusion and the advice you get can be then given to ministers.They will make the ultimate judgement, but we give them the best available advice based on all the evidence presented to us.